Frank Lloyd Wright is one of America's most celebrated architects, and now you can bring some of the artist's original artworks to the everyday, with the Cinema San Diego Etched Rollerball Pen. 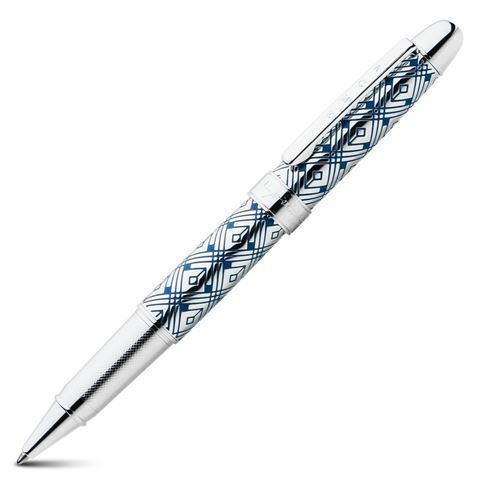 With a chrome-look metal barrel, etched with an Art Deco-style pattern from Wright's archives, this rollerball pen features the artists's signature upon the cap's ring, as well as the Acme stamp on the pocket clip. Chrome-look metal barrel, etched with an Art Deco-style pattern in blue lacquer. Supplied with black ink to get you started.